We have the pleasure to release the program of the Workshop "MAR2FARM" on Managed Aquifer Recharge directed at end-users of the "Los Arenales" aquifer, Castilla y León, Spain. In this region is taking place the most extensive activity on MAR in Spain. WORKSHOP "MAR2FARM", MARSOL Project, TRAGSA GROUP. 2017 March 28th, 09:30-14:10 h. Sala cultural "Alfonsa de la Torre", Pza. Mayor 1, Cuéllar (Segovia, Spain). Free entrance. Focused at regional level, the workshop will expose most of the outcomes achieved from MARSOL project regarding MAR as a technique for rural development, MAR to combat aquifer “overexploitation” caused by irrigation as well as to combat climate change adverse impacts. The workshop will be in Spanish and the presentations will be posted on the dina-mar.es and MAR to MAR-k€t websites in a few days. The goal of the workshop (organized within the project EU-FP7 MARSOL and the Action Group 128 Tues Solutions of European Innovation Partnership on Water by Provincia di Lucca and Scuola Superiore Sant’Anna) is to discuss, two years after the previous conference held in GEOFLUID - Piacenza, the state-of-art of the application of Managed Aquifer Recharge techniques in Italy in light of the recent Decree 100/2016 of the Ministry of Environment (Regulation containing criteria for granting authorization to recharge or to increasing artificially groundwater bodies). Based on the activities carried out as part of projects co-financed by the European Union (MARSOL, WADIS-MAR, AQUOR, WARBO, etc.) and pilot projects at national scale, technical and environmental and regulatory aspects and market potentialities of this technique will be discussed. During the day aspects related to natural water retention measures, passive treatment systems and methodologies for the design and management of such systems will be presented. A panel of experts will draft conclusions and implications of using MAR in Italy out of the two sessions after discussing speaker’s presentations. Participation is free. The event will be held in Italian. Managed aquifer recharge options and the MARSOL project were presented at the CIS Working Group on Groundwater's 31st plenary meeting in Bratislava, Slovakia, on 26. October 2016. The presentations offer a rich collection of recent and up-to-date research and practical experience on MAR. Example for the various dissemination and explanation activities at our demonstration sites: the third and last metal explanation board has been installed at the Arenales site in August 2016. Announcement: MARSOL Advanced Study Course for Young Scientists on "Managed Aquifer Recharge: Water Quality and Reactive Modeling"
The MARSOL project is pleased to announce an international Advanced Study Course (ASC) on Managed Aquifer Recharge with a focus on specific water quality issues (such as organic micropollutants) and reactive modeling techniques, to take place in Barcelona, Spain, on 7.-9. November 2016. Lecturers will be experts from different project partners and members of the project's External Advisory Panel. We welcome the new partners to the consortium and appreciate their valuable contributions! The 9th edition of the ISMAR conference series (International Symposium on Managed Aquifer Recharge) took place in Mexico City from 20. to 24. May 2016. ISMAR is the main event related to artificial recharge as a first raw technique on integrated water resources management (IWRM) at international level. In this event have participated representatives of several EC projects with oral presentations, posters and even a first day workshop, such as MARSOL, FREEWAT, SUBSOL… and from the action Groups MAR to MAR-k€t and WIRE, all of them with lines of action related to Managed Aquifer Recharge (MAR). After consensus from the Steering committee, where up to four cities expressed their interest to host ISMAR 10, it was decided that the next edition will be held in Madrid in May 2019. Up to 15 MAR-related projects supported by the European Commission, including the mentioned action groups, have also reinforced this idea and made a network to exchange information between coordinators, which is already working. During the ISMAR 9 IAH (International Association of Hydrogeologists) plenary, the future organizers have displayed to the audience their willingness and the work already done, proposing a set of slogans and logos to choose one collectively. A new email address is already operative to receive as many comments and ideas for the preparation of ISMAR10: ismar10@tragsa.es. With two presentations, MARSOL partners contributed to the International Symposium on Climate Change and Sustainable Groundwater Resources in Seoul, South Korea, on 12.-14. April 2016. A GIS-based reference portal on MAR sites has been opened by IGRAC (International Groundwater Resource Assessment Centre). This MAR portal enables users to search and freely access valuable information on MAR sites globally. João-Paulo Lobo-Ferreira from MARSOL partner LNEC will present the MARSOL project at the XXI Brazilian Symposium on Water Resources in Brasilia, November 2015. 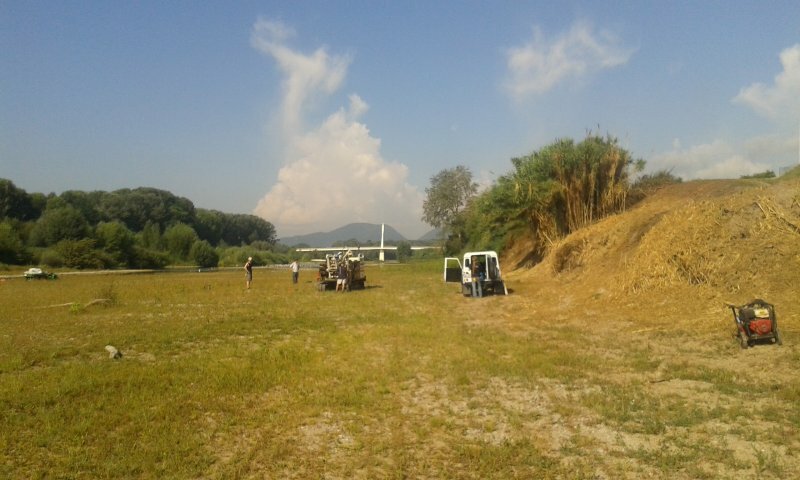 Another site investigation campaign started at the Sant’Alessio MARSOL test site (Lucca) in early September. 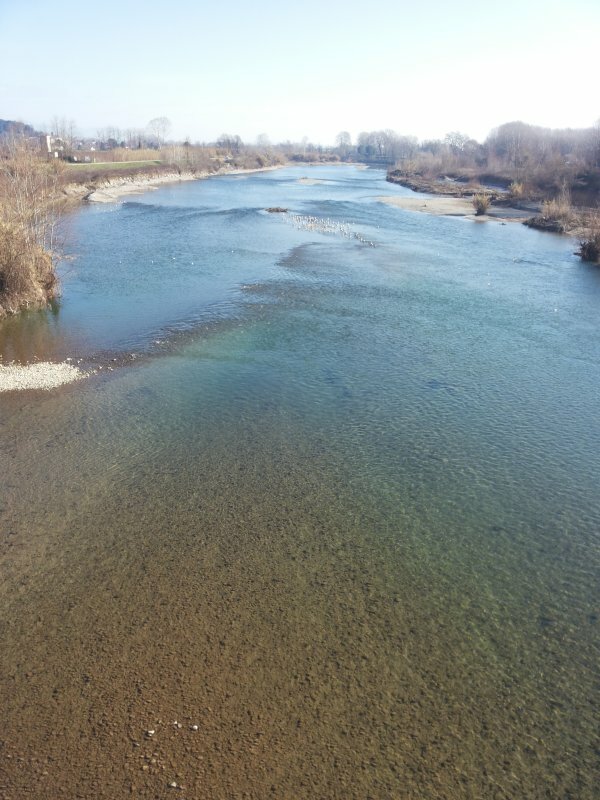 MARSOL partners UFZ, Scuola Superiore Sant’Anna and Provincia di Lucca are perfoming a tracer test injecting warm water (up about 45 °C) and will test Serchio riverbed hydraulic conductivities in the next days. 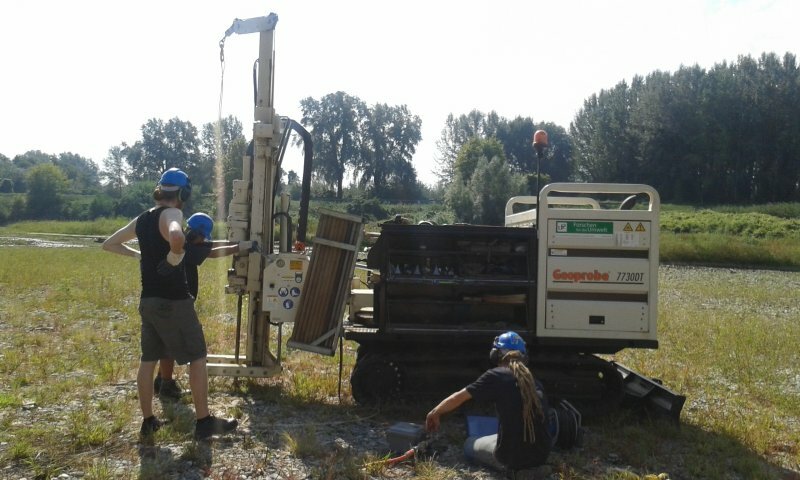 To this purpose an experimental site has been set up on a large dry area of the Serchio riverbed. The objective is to derive insights on travel time in the aquifer and data on riverbed hydrodynamics and hydrodispersion parameters in the aquifer. 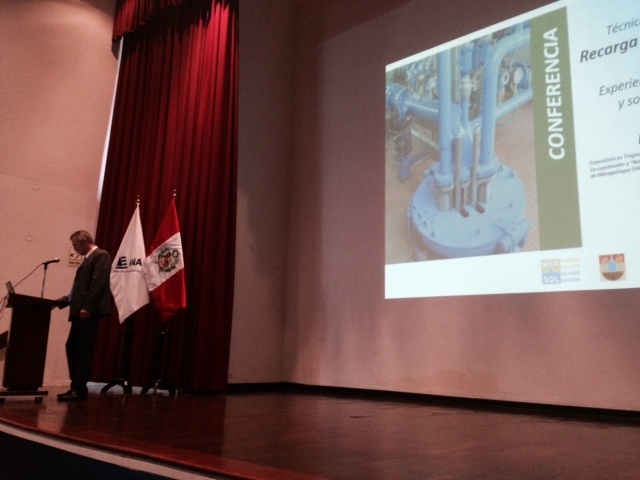 At August 21st Enrique Fernadez Escalante from MARSOL partner Tragsa had the chance of introducing the MARSOL project during a technical conference held at ANA (National Water Authority) in Lima (Peru). Some aspects regarding MAR were presented - focusing on the Spanish experience - as well as the pioneer systems for MAR used in Peru (amunas) and their analogies with Spanish systems. 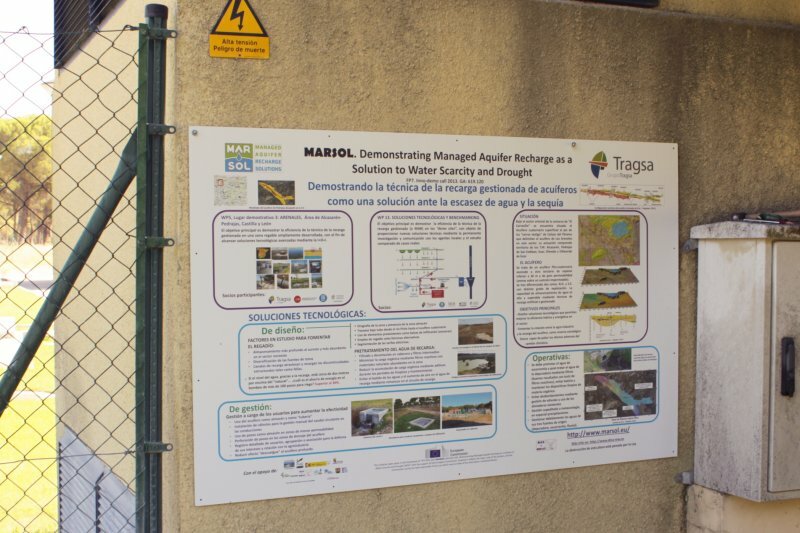 The MARSOL Workshop on "Water Quality Aspects of Managed Aquifer Recharge" was held at MARSOL's demonstration site in the Algarve region in June 2015. 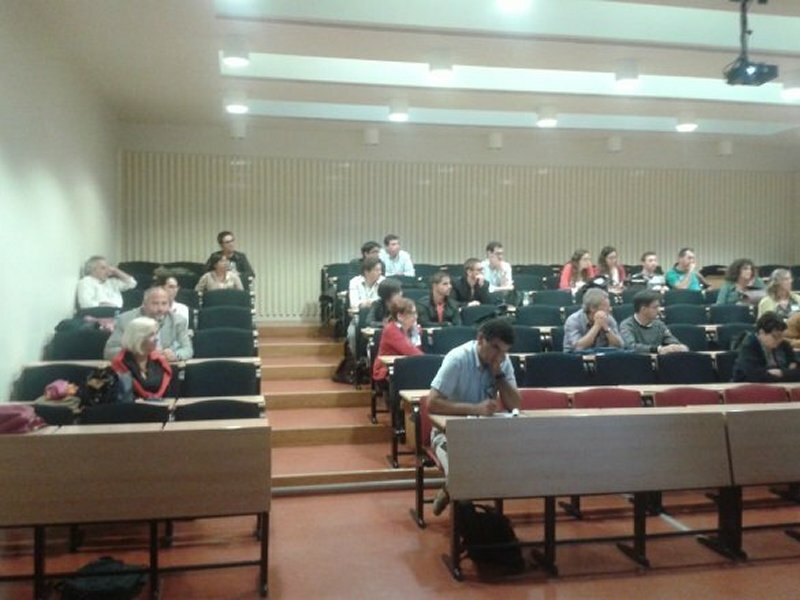 The formal MARSOL mid-term meeting was held at LNEC in Lisbon, Portugal, in June 2015. The meeting was followed by a field trip to the project's demonstration sites in South Portugal. Further information can be accessed here. Participation of MARSOL - represented by Partner Tragsa - in the XXXIII Congreso Nacional de Riegos (Spanish National Irrigation Conference), Valencia, 16. June 2015. An article has been accepted and included in the proceedings book, and an oral presentation was given titled "Recarga Gestionada de Acuíferos: Multifuncionalidad en la Zona Regable de Santiuste". MAR solutions and the MARSOL project have been presented on May 8th at the the conference "A Second Life Water for Food Wealth - Water to Feed the Planet" at the Aquae Venezia 2015, a collateral event of the EXPO MILAN 2015. The main goal of this workshop was to showcase the use of modelling tools to manage water resources. Aside from presentations on recent research advancements, the focus was on real case applications of modelling tools used to plan and manage the use of water resources, especially groundwater. Particular attention was given to demonstrate the use of these tools in Managed Aquifer Recharge issues. Further information are can be found here. The "Conference on the intensive exploitation of aquifers in Spain: challenges and technological solutions for efficient management" was held on 21. April 2015 in Madrid, organized by the Company AQUALOGY. 150 attendees and 20 water innovation experts from research institutions, companies, public administration and basin authorities attended this event. Tragsa Group members involved in the MARSOL project were invited to participate in the meeting on "Available Solutions and technologies for efficient groundwater resources management in case of intensive reserve consuming use". The MAR works in Santiuste were introduced as a real example of technological solution in Spain from R+D to current irrigation and extensive environmental and social purposes. Gomezserracín workshop (Segovia). 2015 March 11th, morning time, free entrance. More details see the Events page. On Jan. 27, 2015, an inspection was conducted on the MARSOL demonstration site "S. Alessio" near Lucca, to test and validate the wireless communication infrastructure that will be used to acquire and transmit environmental data (temperature, electrical conductivity and head). To perform the communication tests, radio-modem modules were used and tested successfully. The survey ended with a meeting held at GEAL spa (the water utility currently managing the induced riverbank filtration plant) premises, where recent advances of the research were shown. 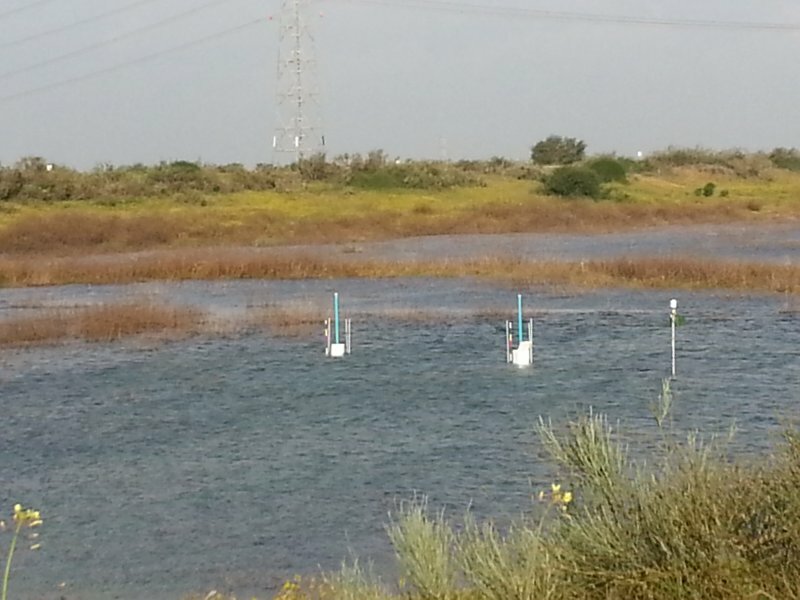 In January 2015, surplus desalinated water is infiltrated to the groundwater at the Menashe basin near the city of Hadera, Israel, at a rate of around 5000 m3/hr. A MARSOL core group meeting was held on November 30th to December 2nd in Tel Aviv, Israel. The meeting involved presentations on the progress of the various work packages, a Steering Group meeting, and a visit of the Menashe demonstration site near the city of Hadera. 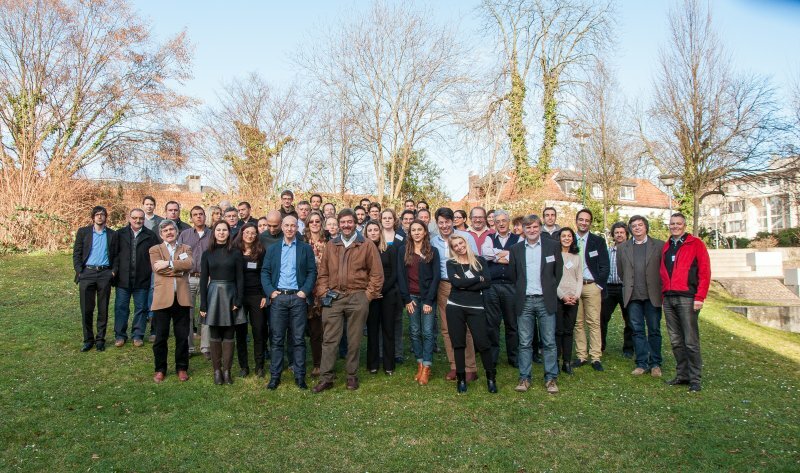 The MARSOL project meeting was followed by a two-days joint workshop of the MARSOL and DEMOWARE EU projects featuring a MAR-SAT Expert Forum Workshop at the ISERD headquarter (December 3rd to 4th). More details on the Events page. The Spanish National Environment Conference (Congreso Nacional de Medio Ambiente, CONAMA 2014), being perhaps the most important conference hold on Spain on this matter, was held im Madrid from 24. to 27. November 2014. MARSOL and the MAR to MARK€T Action Group were presented by Dr. Enrique Fernández Escalante of Tragsa in a technical session titled "Innovative solutions to palliate the climate change effects across water management techniques". The presentation given was titled "How to combat some climate change adverse impacts by means of water management alternative techniques?" and addressed practical recommendations and construction descriptions on water management enabled to palliate climate change adverse impacts. Several MARSOL partners (from TUDa, LNEC, Tragsa, UPC, SGI, AAWA, and Paragon) attended the EIP Water Conference 2014 in Barcelona and participated in special Action Groups 'back-to-back' meetings. In October 2014, TARH organized a Summer School about MAR dedicated to Masters and PhD students, under the frame of the WARBO Project. Several MARSOL partners were invited to give presentations (LNEC, UAlg, TARH, Tragsa). A poster about the MARSOL project was displayed. 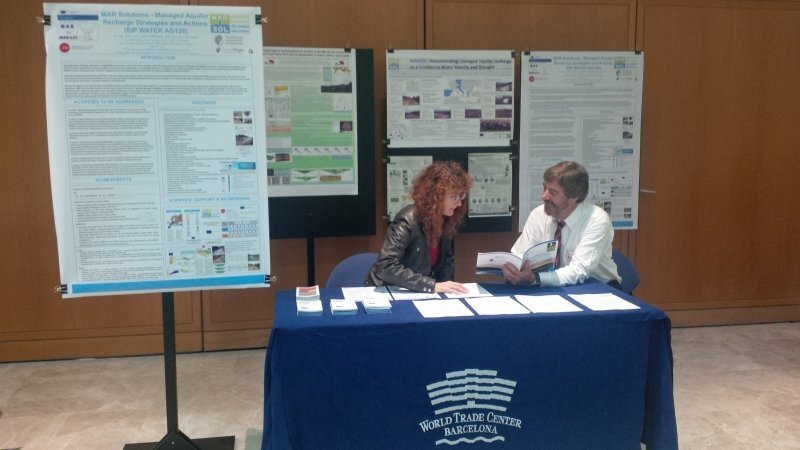 On October the 3rd 2014, a one-day Workshop on Managed Aquifer Recharge (MAR) experiences in Italy took place at the GEOFLUID fair in Piacenza. It was organized by Scuola Superiore Sant’Anna (Pisa) within the framework of the EIP AG 128 -MAR Solutions - Managed Aquifer Recharge Strategies and Actions and the EU FPVII project MARSOL (Demonstrating Managed Aquifer Recharge as a Solution to Water Scarcity and Drought). Read more about the Piacenza workshop here. 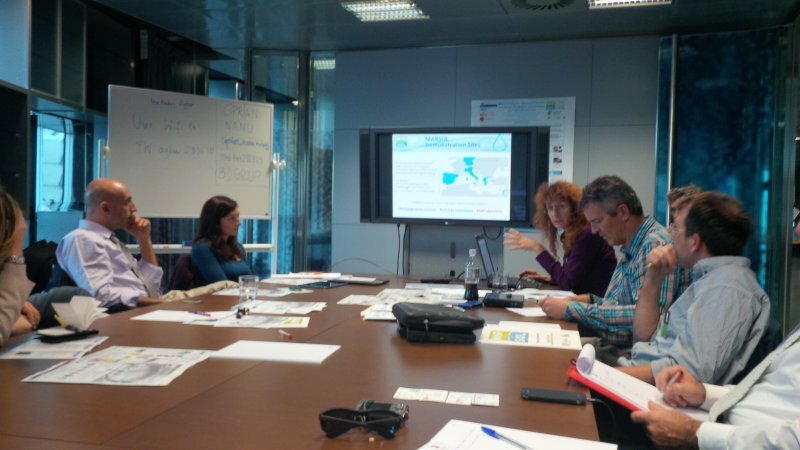 October 2nd, 2014, a DEMEAU project utility event took place in Barcelona to discuss the topic of 'Managed Aquifer Recharge to Encounter Emerging Pollutants'. 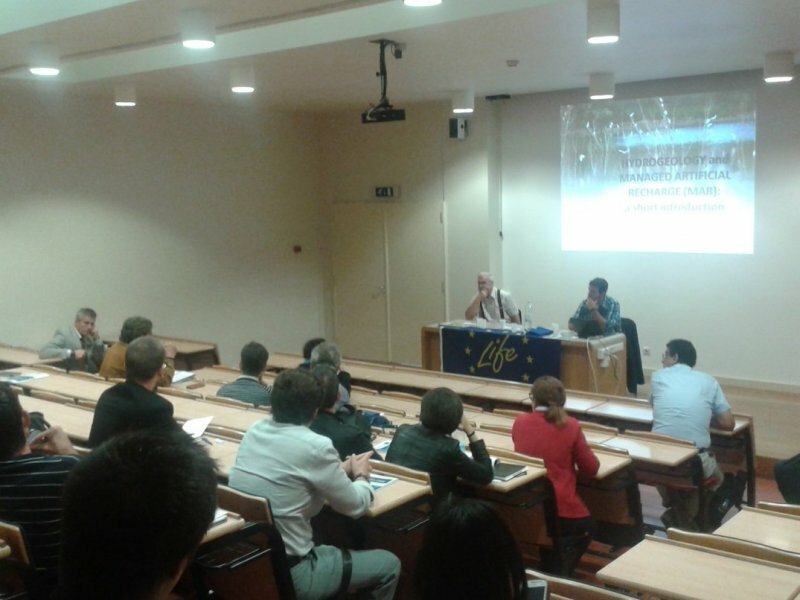 It combined the presentation of research and implementation of Managed Aquifer Recharge in an interactive workshop held by DEMEAU's Work Area 5 on Life Cycle Analysis and Life Cycle Costing. After two sessions on applications and advances, followed by an open debate on identification of barriers and drivers for MAR implementation, there was a guided tour visiting the waste water reclamation plant in El Prat del Llobregat near Barcelona. 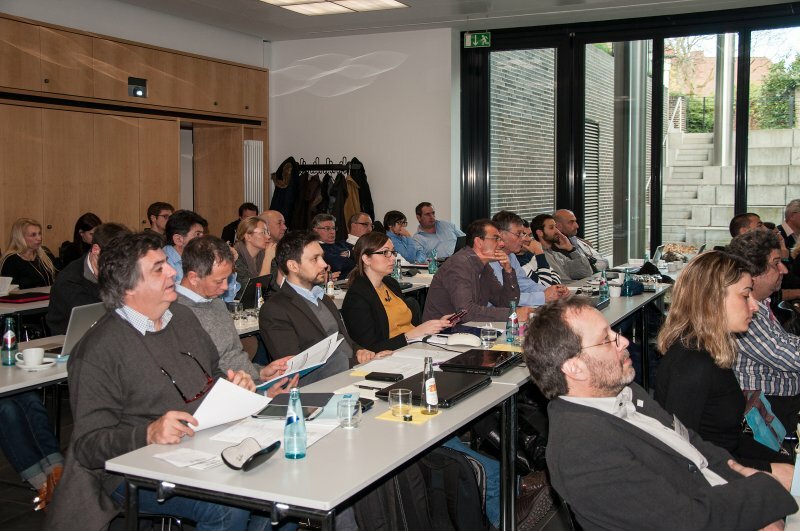 The MARSOL project was presented in this event, as well as the MAR-SOLutions AG. A total of nine oral presentations and seven posters can be downloaded freely at http://demeau-fp7.eu/events/266. MARSOL and the recently approved Action Group MAR to MARket were presented at the PTEA Workshop "Agua e I+D+i" in Madrid (Spain) on April 2nd, 2014. The workshop was attended by over 120 participants from more than 80 industries, universities and research centers, with a remarkable institutional presence. Its main target was to encourage the participation of Spanish companies in the water sector for research and innovative projects at national and international level. It is worth mentioning the high presence of potential receivers of the technology and outcomes to be developed along the MARSOL project. New EIP Water Action Group: MAR Solutions to Mar-ket - Managed Aquifer Recharge Strategies and Actions (AG128), coordinated by MARSOL partner LNEC / Laboratório Nacional de Engenharia Civil, Portugal. The innovative technical aspects of the planned activities include the development of novel MAR systems, or modification of existing ones, with sound technologies that can overcome the main drawbacks. The MAR Solutions to Mar-ket Action Group will have 8 demonstration sites to show the suitability of managed aquifer recharge techniques, involving nine different industrial branches. As one of eleven demonstration projects to address water technology innovation, MARSOL is being funded for three years by the European Commission with in the frame of the Environment 2013-Water Inno&Demo Call. Project start has been December 1st, 2013.